Don’t turn to the right or to the left. Dear Lord, You are the Author of Life and the giver of each day. Help me to trust You when life hurts. Help me to worship whether I have much or little. If you want to read and study the Bible, but don’t know where to start, this is for you! 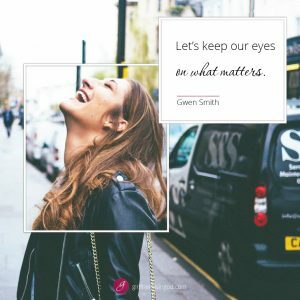 Girlfriends in God cofounder Gwen Smith has several online Bible Study options that will guide you on a personal journey with the Lord as you read, record, reflect on and respond to His Word. These studies will help you know what God says about tender topics like forgiveness, healing, fear, depression, relationships and hope. Each study can be done in the comfort of your home and in a timeframe that fits with your personal schedule. 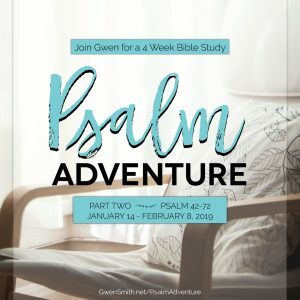 Visit www.GwenSmith.net/BibleStudy to learn more. This is so powerful. No matter what I go through I need to keep my eyes focused on GOD. ~May we always keep our eyes fixed on King Jesus! Thank you Jesus for this Word! I got my mind stayed on Him.